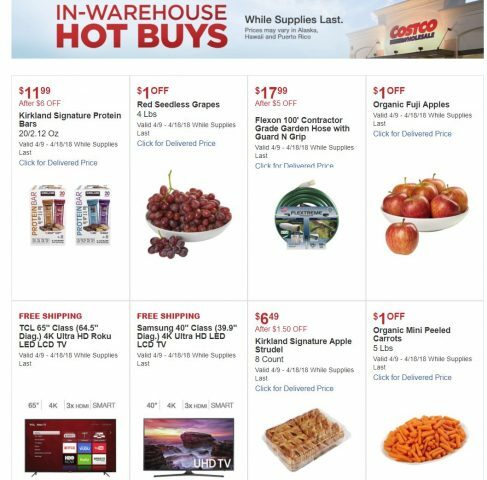 There’s no April 2018 Coupon Book yet but Costco has published a page of “In-Warehouse Hot Buys” on its website. The rebates appear to be valid from Monday, 04/09/18 to Wednesday, 04/18/18. It’s likely that the new coupon book will start on Thursday, 04/19/18, but we’ll have to wait and see. Some of the rebates appear to be somewhat “random” like $1 off red seedless grapes and $1 off organic Fuji apples. 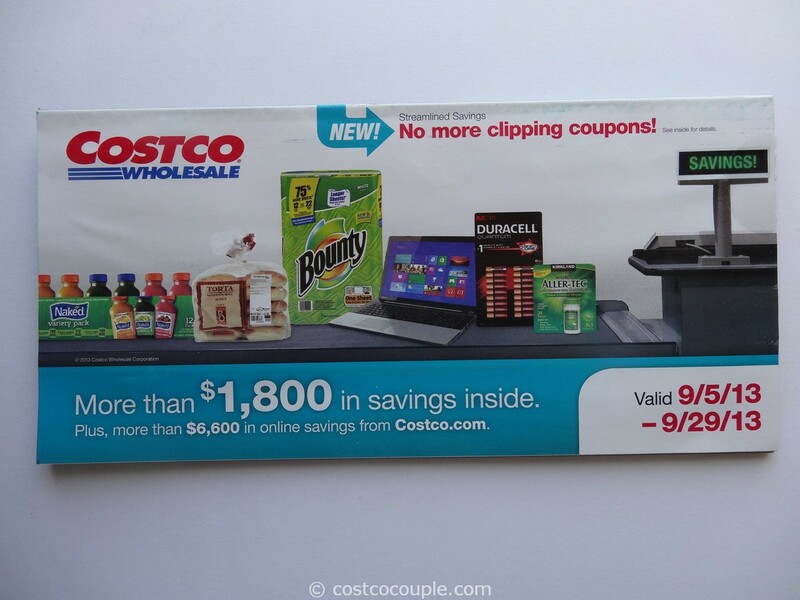 I guess this is extra incentive to get shoppers into their stores between coupon books. We’ve never tried it but the $6 rebate for the Kirkland Signature Protein Bars make this item rather inexpensive at about 60 cents/bar. There’s also a $5 rebate for the Flexon hose and $40 rebate for Nutribullet RX.